Businesses today are well organized and automated. In different periods of time, multiple strategies were used to carry out business tasks, and as per the demands of that era, it worked fine. With the evolution of everything, the methods to implement certain tasks in personal and official life also evolve and the major advantage of such evolution is the automation of official work. Back in the day’s manual work was done and it takes a lot of time and effort. The work to be completed in one day might take 4 to 5 days and the efficiency is not guaranteed either. The advanced technology copes with this situation successfully and there is hardly anything left that is not updated and automated. A very major issue of running a business is to hire new employees who work efficiently and meet the demands of the company. A company also needs a person who is rightly fit for the job from every perspective and for that reason, the first step is to be taken by the company itself. The organization needs to explain the job nature and their demands clearly so that only the relevant people contact them. This will save the time of the organization and applicant too. Just like any project assigned to a developer every requirement is defined in detail so that the outcome will be exactly that what was intended, similarly if the job description is defined clearly the relevant skillful person will contact and it will be easy for the company to filter out. The job description is a well-documented, well-formatted statement made after a complete job analysis defining the cores of this specific job. Different companies write this job description differently according to their own standards and needs. 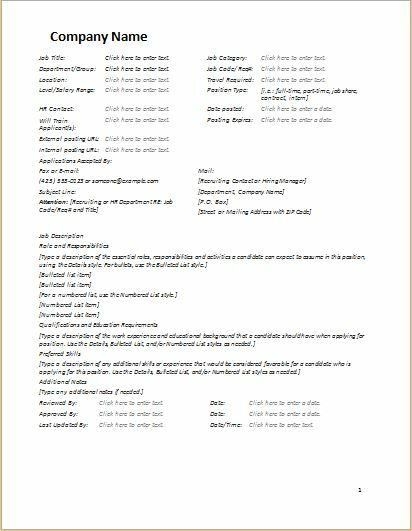 For automating this important corner of business functions, templates are available for job descriptions forms. These templates are available for every kind of job and can easily be modified if the company demands any kind of changes in the original content. 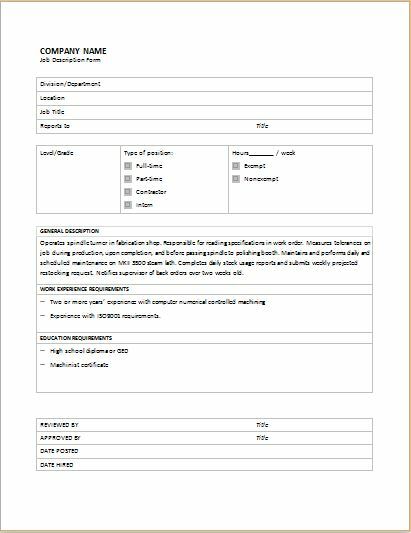 Writing a job description form every time you need to hire employees for certain position would be tiresome therefore it is easy and best way to modify these templates available online. Specify the department or designation for which you are hiring candidates. Mention the location of the job. 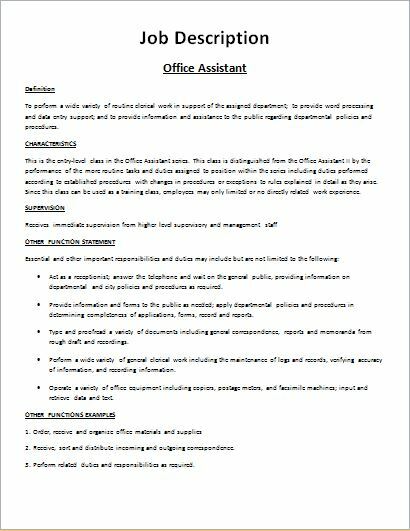 Specify the timing nature of this job (Part time or full time). A brief description of duties and responsibilities of this job. The education and experience required for this job. These are few things that are mentioned in all job description form templates and can be modified according to the nature of job and company standards.